This trio of stud earrings provide a trio of tones. 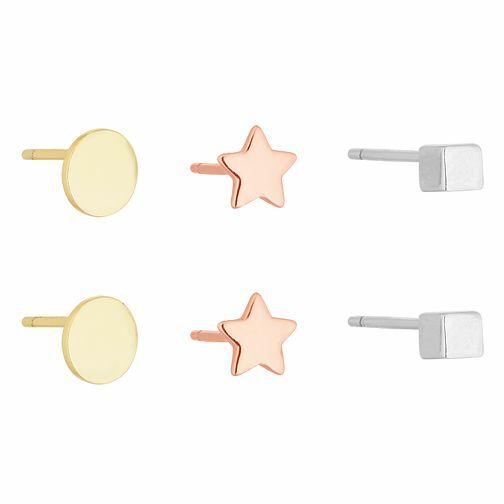 A simple yet stylish stud for every outfit, this set features a yellow gold tone round; rose gold tone star and silver tone cube pairing. A chic set to suit any occasion.